The Greater Kansas City Chapter is a long established Naval Academy Alumni Association chapter and currently there are over 250 USNA alumni who reside in our region of over 2.2 million people. 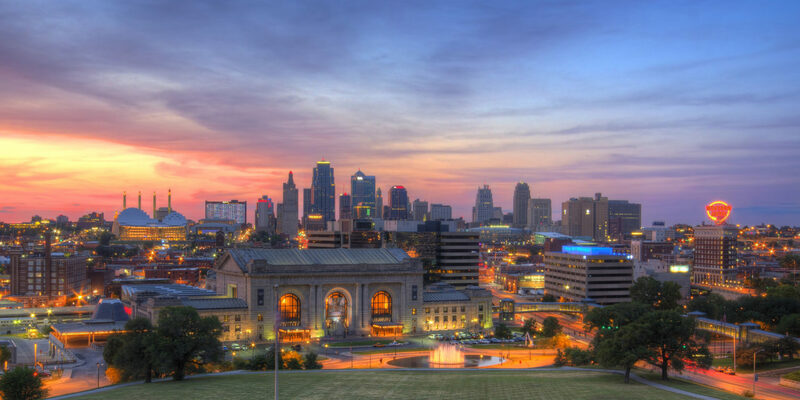 Our chapter area covers both states of Kansas and Missouri surrounding Kansas City including the metropolitan areas of Kansas City (Missouri), Kansas City (Kansas), all of the suburbs like Olathe, Overland Park, Lenexa, Leawood, Shawnee, Mission Hills, North Kansas City, Gladstone, Lees Summit, Independence, Blue Springs, Liberty and as far as Lawrence and Leavenworth, Kansas. Recently we have added about 30 alumni from Wichita KS to our chapter database since there is not an alumni chapter there. This will allow them to get our communications to members and participate in special events. The Army Command and General Staff College (CGSC) is at nearby Ft. Leavenworth, Kansas and many Navy and Marine Corps 0-4 and 0-5 officers, who are Naval Academy graduates, attend that mid-career graduate level military course or are instructors there. We are currently trying to expand our active chapter membership roll in 2018 with a fuller program calendar of meetings, gatherings, and activities which will help promote the Naval Academy and bind alumni together in support of the traditions, memories, and growth of the Academy. Part of our mission is also to seek out, inform, encourage, and assist outstanding qualified young men and women to pursue careers as officers in the Navy and Marine Corps through the Naval Academy. We fully support the local USNA Parents Club and their efforts to support their sons and daughters who are currently Midshipmen at the Naval Academy. We also support the area USNA Blue and Gold Organization who are generally former or current Navy or Marine Corps officers, or Reserve officers, in their quest to assist high school students and their parents in their applications to the Naval Academy. Our published chapter bylaws on this site explain how our organization is formed and operates, and the requirements to obtaining local chapter membership, which is in addition to an annual or lifetime membership with the national USNA Alumni Association in Annapolis. Local annual dues are $25 annually payable to the Treasurer each year in the 1st quarter. If you are a resident of our chapter area or visiting during a meeting/activity or have a connection that you want to strengthen with our members, please join the Chapter.